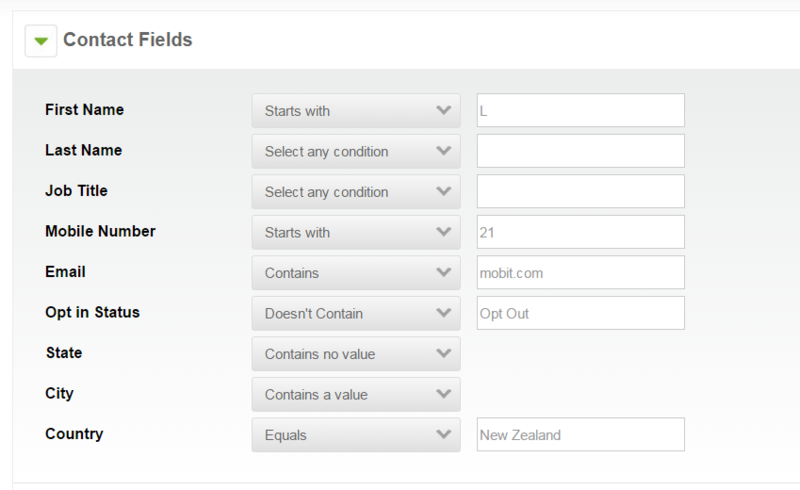 From the contacts section, you can perform basic searches based on singular fields such as mobile number and first name. In this article, we will show you how to use the advanced search feature, which allows you to search for contacts that meet a list of criteria. Filter your database based on any contact primary or custom field value(s). To filter contacts by primary or custom field, expand the contact or custom field drop down and select the condition by which to filter contacts, then enter the value to filter by in the text field. Filter your database based on contact tags. You can filter your database based on two tag conditions. First, select the condition by which to filter contact tags and select the tag(s) you want to filter on. To select multiple tags, hold the control key on a Windows computer or command on a Mac. 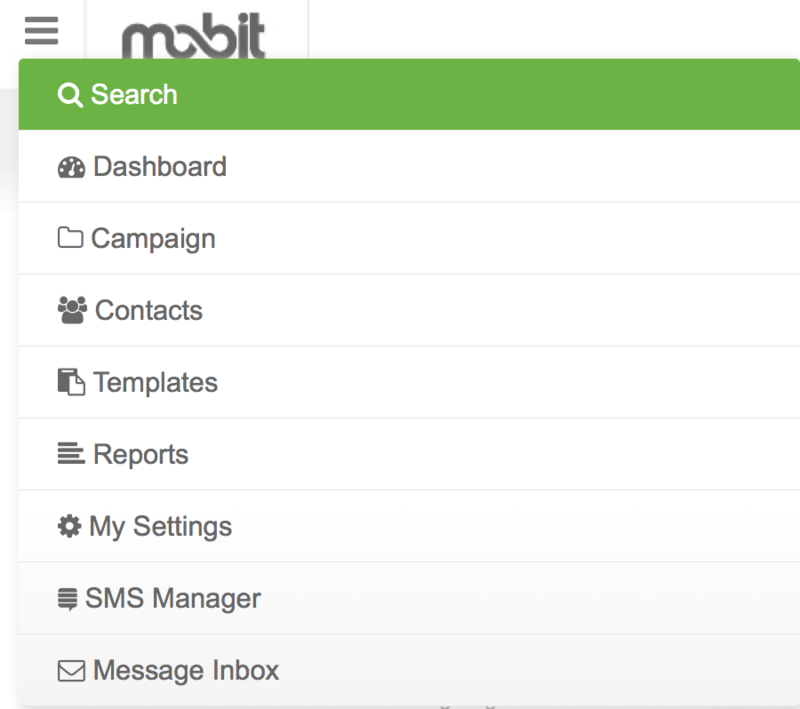 Filter your database based on campaigns that a contact is associated with. You can filter your database based on two campaign conditions. First, select the condition by which to filter contacts that are associated with a campaign by, then select the campaign(s) you want to filter on. To select multiple campaigns, hold the control key on a Windows computer or command on a Mac. Filter your database based on groups contacts are associated with. You can filter your database based on two group conditions. First, select the condition by which to filter, then select the group(s) you want to filter on. To select multiple groups, hold the control key on a Windows computer or command on a Mac. Take this in-app tutorial to see how you can use the advanced search feature to find all contacts that are subscribers and are located in a specific country.